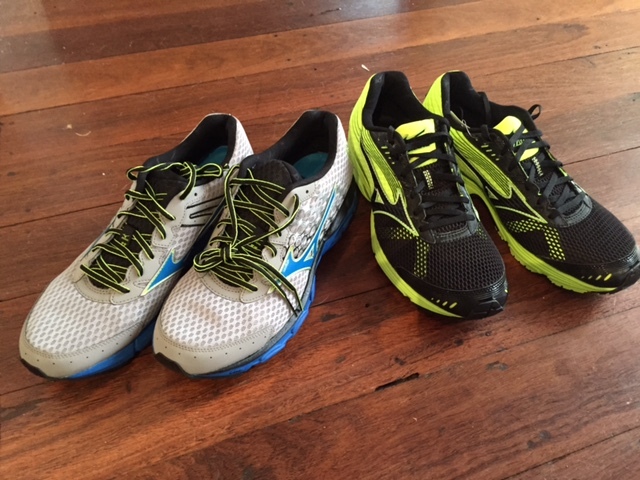 The shoes on the left are the latest version of the Wave Inspire 11, which I use as a mileage shoe. The black ones on the right are the new Mizuno Sayonara 3s. Quite keen to see what the Sayonara 3s are like since the previous version is one of my favourite shoes. My understanding is that for the third version of the Sayonara Mizuno has gone for a more neutral shoe, so I will be interested to see what they are like. I think these ones might get a bit of a promotion up the pecking order of shoes that I have lying around. If they are an improvement on the old version then they should be a very nice shoe. They look damn good too. Other than a bit of new gear, I also got up to some training and a bit of administration today. Training wise I got out for a swim this morning. This was my first session back since the Japan 70.3. Usually I would have liked to return to training earlier in the week than this, but with the extra time we had in Japan, everything is happening later than it normally would. I very nearly got out on the bike on Thursday morning, but it took me longer than I expected to get myself together on Wednesday night. By the time I got to bed it was too late to be getting up early on Thursday, particularly given that the night before we hadn't got into bed until 2:00am after flying back from Japan. In hindsight the extra sleep was probably not a bad thing, but it did mean that my first session didn't happen until today. For once swimming today did not involve Swim Smooth. Claremont Pool is currently undergoing repairs and so the squad is on break for two weeks. During breaks like this I would usually just use the App, but this morning I thought I would head down and join in with a squad that my friend Shao Wu usually trains with. I was hoping for a fairly steady recovery session, but it turned out that it was a bit tougher than that. I am always surprised how long it can take the body to fully recover from a race. Even this morning I wasn't quite feeling 100%. Not far from it, but still a little bit flat. I know it will all come back in time, but this morning it was not that special. All part of the journey though. The logistics part of the day was mainly just entering a few races. Now that I am done with Japan, Daryl and I have had a chance to sit down plan out the second half of the year. First up will be the Philippines 70.3 in August. After that I will be racing a new long course race in Perth in October. The race is a little unusual because it is being held on Rottnest Island. Rottnest is the spiritual home of long course racing in WA, being the old site of the long course champs. Having long course racing return to Rottnest has a lot of the local triathlon community pretty excited. You never quite know how a new race is going to go, but hopefully this one goes well. We booked a couple of extra night's accommodation too, so we will go over and make a mini family break out of the trip. A bit more training tomorrow with a ride with the Break Your Limits guys in the hills. Hopefully they are gentle.